The Tom Hanks-starrer, Forrest Gump, was based on Winston Groom's 1986 novel by the same name and looks like the cult classic will be getting a Bollywood flavour soon. New Delhi: The Bollywood remake spree seems to have reached Hollywood too. According to recent reports, award-winning cult classic Forrest Gump is all set to get a desi makeover with Bollywood remake. Released in 1994 and starring Tom Hanks, the movie is based on the 1986 novel of the same name by Winston Groom. The movie became the biggest blockbuster of that year and even went on to win 6 Academy Awards including Best Film, Best Actor and Best Director. 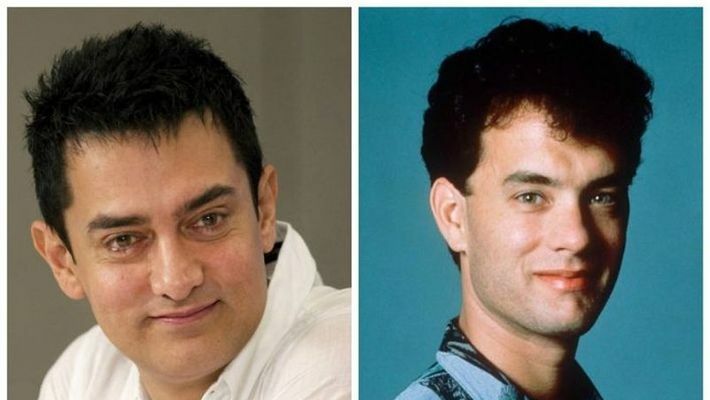 Now, actor Aamir Khan may just be recreating Hanks' role in the Bollywood version. As per a Filmfare report, a source close to the development said that Aamir has officially come on board for the Forrest Gump remake and will soon make an announcement of it. The news has come as a breath of fresh air for Khan's fans, who are still reeling from his last movie, Thugs of Hindostan. Forrest Gump tells the story of a slow-witted, simple man who enlists in the army and his life thereafter. The original movie had actor Robin Wright playing Gump's love interest. Guess we will have to stay tuned to know which star bags that role in opposite Khan. Knowing Aamir's creative chops and perfectionist attitude, this may just be a remake to keep a lookout for. The actor's last outing Thugs of Hindostan did not do much for the fans and was slammed despite having a decent box office collection.